Wakeup & be brow ready every morning! 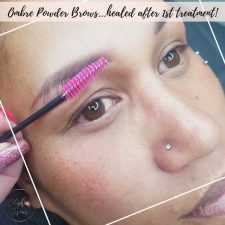 Semi Permanent Makeup also known as Cosmetic Tattooing has taken the world by storm! Are your brows – thin, sparse, over plucked, missing hair, to short or just lacking definition? How nice would it be to wakeup & be brow ready every morning? Think of all the time & hassle you will save trying to get them looking even & perfect? Not to mention sweat proof, waterproof & smudge proof! That’s right you can go to the gym , the pool, a tropical island & you will still have fabulous brows! Its all about the brows! Fabulous brows are a must for the everyday woman & now you can get your brows done here at Salon One! Melanie Wallace – Qualified Beauty Therapist with 12 years experience. Now a Certified Phibrows Microblading Artist & trained with the renowned world wide known Phibrow Academy. Also trained with the amazing Judy Nguyen & now a Certified Powder Brows Artist. 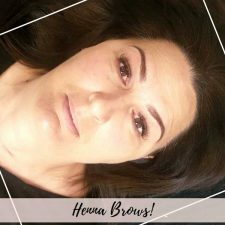 A Henna Brow Artist & trained with Henna Brows N.Z. 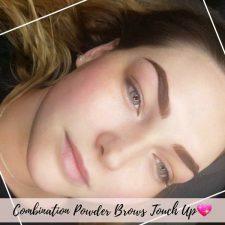 For more photos of Melanie’s brow work please check out this page. 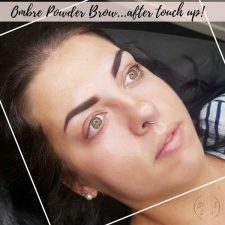 Ombre Powder Brows is becoming a favourite & one of the newer techniques in Cosmetic Tattooing. Ombre Powder Brows gives the appearance of powder brow makeup with a soft shading in the front of the brows & the top area of the brows giving a soft opaque / powder finish. The bottom of the arch & tail are slightly darker achieving a beautiful flattering brow. 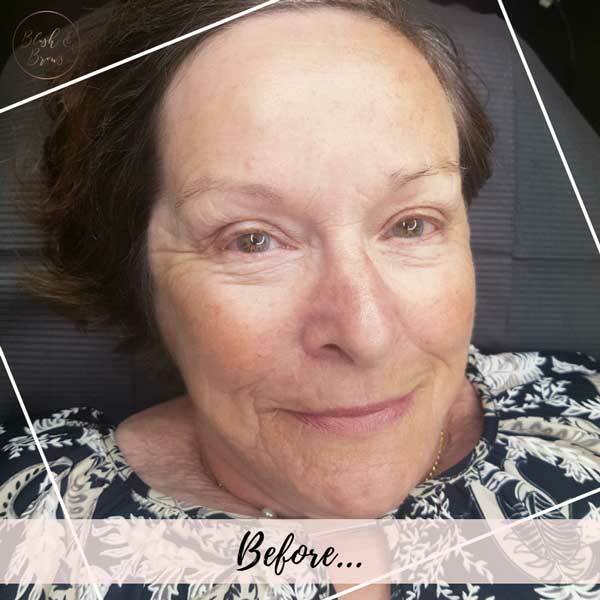 Results are achieved over 2 appointments spaced 4 – 6 weeks apart, occasionally a Extra Touch Up may be required & is to be done with in 8 weeks of the last treatment. 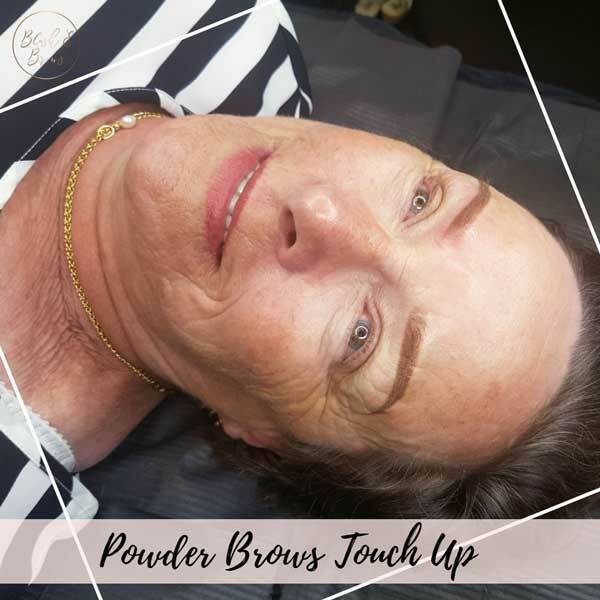 Powder Brows is known to last longer then microblading , 1 – 2 years but results depend entirely on your skin type & lifestyle. Also ideal for those with oily skin or minimal to no hair. * A $50 deposit is required to secure your 1st Treatment booking & will then come off the Perfection Touch Up. A $50 deposit is required to secure your Colour Boost booking & will then come off the treatment. A Combination Brow is Microblading hair strokes at the front of the brow followed by a soft Powder Brow. A Combination Brow is great for those that like the natural look of hair strokes but want a slightly more done up brow. Results are achieved over 2 appointments spaced 4 – 6 week apart, occasionally a Extra Touch Up may be required & is to be done with in 8 weeks of the last treatment. Can last up to 1 – 2 years but results depend entirely on your skin type & lifestyle. Also ideal for those with oily skin or minimal to no hair. Microblading is intricately implanting pigment into the skin with a manual hand held tool containing tiny needles on the end, creating very fine natural hair like strokes. This will give your brows a natural & realistic look. Results are achieved over 2 appointments spaced 4 – 6 weeks apart., occasionally a Extra Touch Up may be required & is to be done with in 8 weeks of the last treatment. Can last between 6 – 18months but results depend entirely on your skin type & lifestyle . A Colour Boost is required between 10 – 12 months. 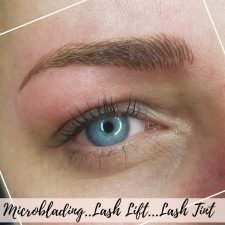 Microblading is only recommended if your skin is in good condition. Not suitable for combination / oily skin types. If you like tinting your brows you will absolutely love Henna Brows! A great temporary option! Can last up to 7 days on the skin giving the appearance of a fuller brow, perfect for those with sparse brows or brows that lack shape! Can last up to 4 weeks staining / tinting the hair, also great for grey / white hairs! Guess what?…Henna even encourages hair growth! I know AMAZING right? 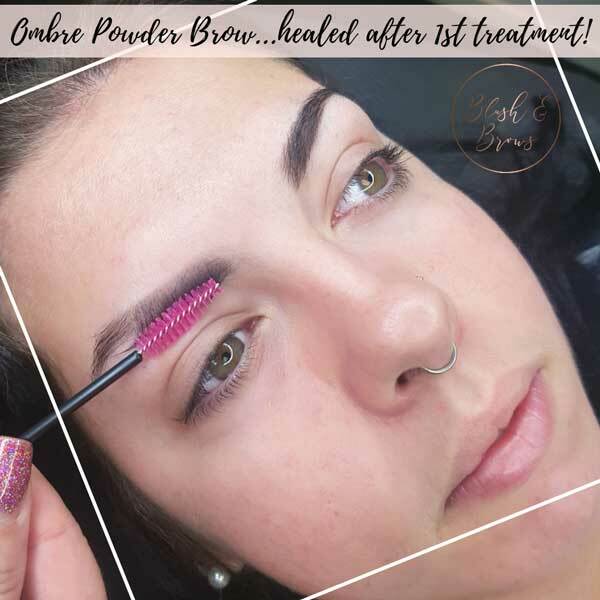 Ideal for those with thin sparse brows! A Patch Test is required before your 1st treatment. The Patch Test is to be done with a minimum of 24hrs prior. The Patch Test is done on the inside of the arm & only takes 2 minutes. Please drop in anytime to Salon One to get this done. My experience with Mel was outstanding to say the least. 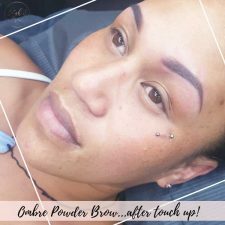 She was so calm and understanding on my worries about the microblading process. With constant re assurance from Mel I was able to go through with the procedure with confidence and assurance that I will receive the most amazing service possible. Her particular eye to detail ensured I would have the most even brows possible as she took her time to map out the shape. As pain was my greatest concern I was pleasantly surprised with the little amounts that actually came during the process, with it mainly being an uncomfortable feeling rather than pain. 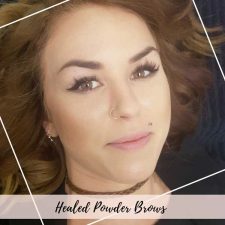 Mel provided me with all the after care & knowledge I needed to know to take care of my brows while healing as well as making sure I understood the importance of this process before leaving her. Even going as far as showing exactly how much aftercare ointment I needed to apply to my eyebrows each day.Mel did an absolute amazing job on my eyebrows and I would recommend her to anyone and everyone looking at getting their own eyebrows microbladed.